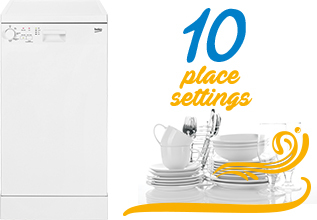 Choose a full size, slimline or built-in Beko dishwasher to suit your kitchen’s size and layout. Washing up is easier with features like flexible baskets, clever wash programmes and cost-effective performance that saves time. Some useful advice to help you pick the right dishwasher for your home. 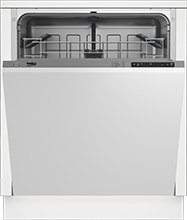 A slimline dishwasher might be the answer. They’re designed to fit with especially small spaces – without affecting performance and the capacity to wash 10 place settings. Clean up after big meals with a full size dishwasher. 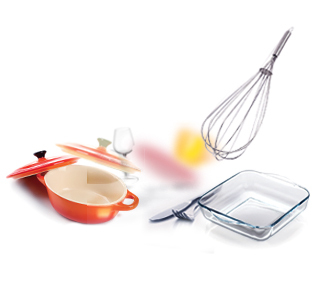 They can handle 13 place settings and let you fit bigger pans with height-adjustable baskets. Complete the look of your kitchen with a built-in dishwasher. It lets you maximise space, and you can mount a cupboard door to the front panel to match your kitchen units. 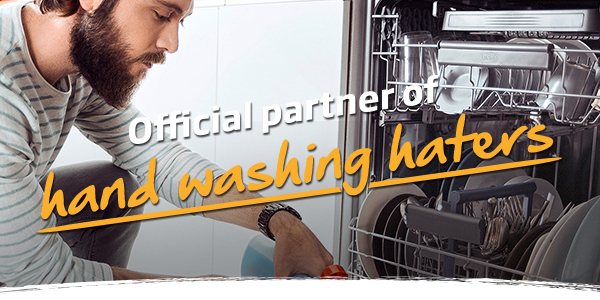 For large households and avid entertainers, a Beko full size dishwasher handles the hard work. Clean up to 13 place settings in one load, with quick wash and half load cycles to save time and energy. 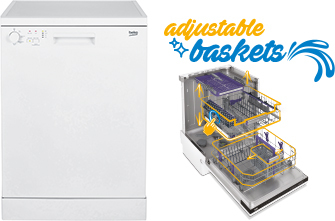 Fit a Beko slimline dishwasher into any kitchen. They’re only 45 cm wide and can clean up to 10 place settings. 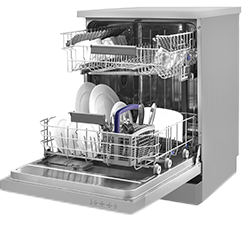 Quick wash gets crockery and cutlery clean in as little as 30 minutes, half load uses less water and power. Create a streamlined look that matches your kitchen units with a built-in Beko dishwasher. Choose between full size and slimline models to suit your home and family. They’re fully featured and carry an extra year’s guarantee.